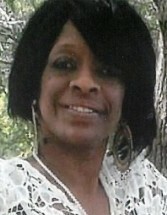 Ms. Lana Denise Young, 51, of Charleston, SC, entered into eternal rest on Thursday, April 4, 2019. The relatives and friends of Ms. Lana Young are invited to attend her Home- Going Service 11:00AM, Saturday, April 13, 2019 at First Baptist Church of James Island, 1110 Camp Road, James Island, SC. Interment - Island Memorial Gardens, Johns Island, SC. Viewing will be held from 6:00 PM - 8:00 PM, Friday, April 12, 2019 at the mortuary; the family will receive friends from 7:00 PM - 8:00 PM. Ms. Young is survived by her mother Lydia Young; children, Jarell Shine, Raza Mitchell, Angel Mitchell, and Ashanti Mitchell; brothers, Montester Seay, Broderick Seay (Victoria), and John Young; sisters, Beverly Wright and Pamela Morrissette (Michael), nieces, nephews, and a host of relatives and friends. In lieu of flowers, memorials may be made to First Baptist Church of James Island, 1110 Camp Road, James Island, SC 29412 - Attn: 150th Church Anniversary. The family will receive guests at 2848 Haverhill Circle, North Charleston, SC.